Netflix's on-demand Internet streaming service is now available in 130 new countries, including Nigeria. The company announced it on Wednesday during the opening keynote address at the Consumer Electronics Show (CES 2016), at Las Vegas, United States. 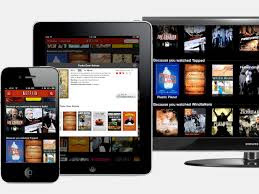 It offers a subscription-based film and television program rental service that offers media to subscribers via Internet streaming. While, Pay TV isn't new to Nigerians, the fact that the service will be available via internet streaming is the apparent differential. With catalogue in a variety of TV shows and original programming available for streaming in both standard and high definition, Netflix is bound to disrupt established players with acclaimed hits series like House of Cards, Orange is the New Black, and Beasts of No Nation, starring Idris Elba. Nonetheless, there are factors that may hinder the successful uptake of the service in Nigeria, especially as it's coming as a whole new service segment on its own, Internet. Poor Internet Services: While the rest of the world is already enjoying the awesome speed of 4G, Nigeria is still grappling with abysmal distribution of 3G connectivity. And given that Netflix streaming service will be hugely dependent of reliable and fast internet connection, means a stumbling block for extensive adoption of the service in Nigeria. Payment Medium: With the recent government policy on international payments restriction, and rumors of Nigerian banks planning to prevent their customers from using Naira-denominated ATM cards for transactions in forex isn't sounding good for the service. Device Type: Smart TV's compatible with Netflix streaming services aren't the norm here, and with the proliferation of sub-standard Chinese clones of popular smartphones may present an ugly user experience which will not augur well for the uptake of the service. Asides these factors, the issue of pricing and availability of cheap pirated versions of the popular titles will equally raise its ugly head. Albeit, Netflix's arrival in Nigeria will definitely bring bigger competition for video content services like DSTV Now, and it’s effect on the market would be a lot better experienced that making an early forecast.